At right move insurance our approach is all about flexibility; we are passionate about making our products suit your needs and not the other way around. We see our quality of service as a key differentiator between ourselves and other organisations. Cutting prices but not quality or service. Having the time to arrange insurance is difficult when we all lead such busy lives. We believe the key is to make the whole process as simple and as inexpensive as possible. Whether it is just a quote, renewal, or a second opinion we are here to help. With just one phone call, email or a chat in one of our offices, we can offer a range of products that can provide the correct cover, great price, deliver peace of mind and provide excellent customer service – but that’s not where it ends. Looking after our clients is important to use as we believe that if we don’t do right by you, someone else will. We believe the key is to make the whole process as simple and as inexpensive as possible. We have clients through the whole of Spain, so location is not an issue. Everything can be done by phone, internet and post. It’s always worth getting in touch to see what promotions are available, we regularly have special offers and promotions. Policy and quotes tailored to your personal circumstances, life insurance to pay of a mortgage or a lump sum available for your family. Different options available, from straight life insurance to total disability caused by an accident/road accident, critical illness, death in an accident and permanent disability. The most important thing about your home insurance, no matter where you are, is peace of mind. So if someone steals your keys, or if your fridge breaks down, or if your child breaks your window, don’t worry we have a product to meet your needs. All documentation is in English, plus claims and help lines are managed by English speaking operators. With one call, you will have a team of experts available, whether it be glaziers, locksmiths, plumbers, electricians or carpenters that will be able to solve any problem that may arise in your home. All policies tailor made to your individual requirements. Basic Cover Breakage, robbery and water damage Public Liability 3,000€ jewellery cover Reconstruction/aesthetic damages Legal Protection Travel assistance Optional Cover Public liability for dangerous dogs Vehicles which are garaged Accidents/accidental damage Breakdown of electrical appliances Approximate cost for an apartment 100 sq mts, buildings of 80,000sq. m contents cover of 20,000 is €150.24. For a detached villa of 120 sq mts, buildings cover of 100,000, contents cover of 20,00 is €180.88. If you have a house insurance with Caser, this can be included as part of your home insurance. If not, a separate policy is available which provides public liability insurance for the owner. If your dog is on the list of dangerous dogs, then as the owner you are required by law ot have public liability insurance for your dog, with cover of at least 120,000. Once in place the policy will need to be shown at the town hall along with 2 recent pictures of the dog. They will also want to see that the dog has been microchipped so you will have to take your animals booklet/log to show the number and to also confirm that all vaccinations are current. There are also two forms that you will have to complete and the application for potentially dangerous dogs is only valid for three years. This policy will provide you with public liability insurance, which will give you cover if your horse causes damage to third party property or people. Cover available for individual owners and horses or a group policy for stables/riding school. Basic policy available from 200 euros with additional options available. Now there is a product available to meet your personalised needs – in the event of the insured’s death this insurance product will either pay out the insured sum or complete all the necessary arrangements for a burial/cremation in Spain, or repatriation to your homeland. No medical or forms to be completed and on cover immediately, but clients must be age 70 or under. Examples of costs: Couple €10.84 a month 60 couple €21.80 per month Over the age of 70 ?. Not a problem we can arrange a prepaid funeral plan direct with the funeral director – Group ASV, with a price of 3,200€. Payment can be made in instalments all interest free over 12 months, and if you decide to cancel then a full refund of your money will be given with no questions asked (except iva). No hidden admin or cancellation fees. Discount available for drivers over the age of 40, plus young drivers insured/added to parents policies. If you have an accident there is a wide network of garages where you can take you car with all bills being settled direct. Additional options available eg management of your traffic fines, loss of license and collision with an animal. 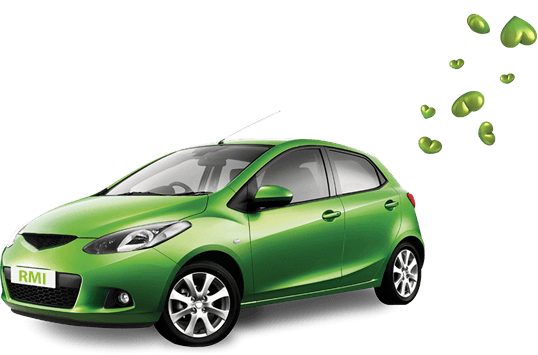 Policies include windscreen cover, Green car for EU cover (90 days). Breakdown and legal assistance. All documentation in English, plus a claims and help line in English. Example of price: Ford Focus, 1.6. 2007 Driver born 1965 fully comp, 360 excess 296.88 Includes windscreen, green car, grua, home start and all usual extras in english. Damage caused by fire, explosion, flooding, smoke and atmospheric phenomena. Damage to moveable property that is for common use or in the garden, shared aerials and satellite dishes, swimming pools, exterior walls and fences. Breakage of windows and glass. Damage to electrical installations and appliances. Water damage to community and private property. Damage caused by burglary including to the entrance doors of residents’ homes. Cosmetic damages: cosmetic restoration of the room damaged by the loss when materials which are identical to the damaged ones cannot be found. Cover for accidents suffered by Community employees. Legal defence and claims for damages. Claims against co-owners for non-payment. Claims for breach of service contracts. Defence in local government matters. If you have good health you have everything, but if not, you can count on this product. With full documentation in your own language and additional extras like a 24 hours medical hotline which will provide qualified medical assistance at any time of the day or night, 365 days a year. There is no waiting; you can see a doctor/specialist without having to wait. With over 23,500 doctors and more than 350 hospitals and 700 private clinics the choice is yours. Also included is complementary oral and dental coverage. The dental policy which is included in this health plan also include free child dental plan. Also include special cover for your eyes, podiatry, medical assistance abroad and psychology. Different options available on premiums, plus the benefit of choosing monthly, quarterly, half yearly or yearly payments. Also available on its own is a Dental plan. We’ve had our car insurance with Right Move for the past 2 years after they saved us nearly 25% from our previous insurer – would highly recommend them. Very friendly service, very professional – first went to Right Move for their promotional offer on car insurance and ended up changing house & health as well! Found Right Move Insurance via an online search. Had no trouble organising our insurance even though their offices are based quite a way away from me – very friendly team. All personal data (belonging to the Policy Holder, the Insured or Beneficiary), including, where applicable, health details requested for the purpose of providing a quotation or taking out a Policy, or provided or generated subsequently during the validity of the Policy, shall be the responsibility of right move insurance (and where necessary incorporated into their files) for the following purposes: The management and suitability of our services for your particular profile, as well as the sending, by any means of communication (including electronic), in the cases mentioned above and after the end of the contractual relationship, of loyalty actions, promotional surveys and draws, as well as commercial offers of insurance products, financial services or others related to the automobile or house insurance business promoted by right move insurance.